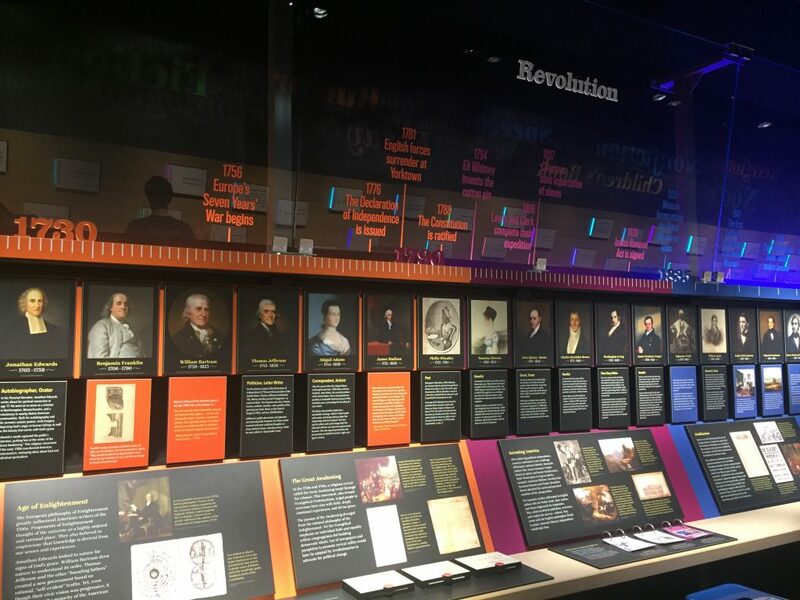 The mission of the American Writers Museum is to engage the public in celebrating American writers and exploring their influence on our history, our identity, our culture, and our daily lives. The American Writers Museum Foundation (AWM) is incorporated as a 501(c)(3) tax-exempt corporation to establish an American writers museum. Mayer Brown LLP accepts the Foundation as a pro bono client, and provides the Foundation with its first office at 1999 K Street NW, Washington, DC. Smithsonian Institution strategy team provides guidance on museum development. In a meeting with AWM President, Mayor Richard Daley expresses strong support for hosting the Museum in Chicago. Chicago selected as the preferred location for the Museum. In the years ahead, various locations in downtown Chicago will be evaluated as possible venues. The National Endowment for the Humanities awards a grant for the development of a detailed concept plan for the Museum. Additional funding is provided by the Stead Family Foundation. More than two dozen scholars, exhibition designers, literati, and educators begin a series of meetings in Chicago, New York, Washington and Boston to discuss the content and design of the museum. In a meeting with AWM leaders, Mayor Rahm Emanuel pledges “full and enthusiastic support” for establishing the Museum in Chicago. AWM launches its first online exhibit The Power of the Word – Leaders, Readers, Writers. AWM establishes an affiliate network of author homes and author home museums. The Wall Street Journal publishes a complimentary article on the Museum plans. AWM retains Cambell & Company as fundraising council. AWM engages Nike B. Whitcomb Associates Inc. to consult on pre-opening campaign and establish a Chicago office for the organization. Grants from the Chicago Community Trust and S&C Electric fund a traveling exhibit From Our Neighborhoods: Four Chicago Writers Who Changed America that travels to cultural centers and libraries throughout Chicago. AWM retains architects Gensler & Associates for interior and graphic design services. The Content Leadership Team starts its work on the literary content of the Museum. Over fifty experts from various fields and from across the nation contribute to the content development. AWM enters into a lease for its future museum location at 180 N. Michigan Avenue. BMO Harris Bank, Penguin Random House, and MacMillan sign sponsorship agreements. Wintrust Bank becomes a major sponsor of the AWM. Hachette Publishing becomes the newest publishing sponsor of the AWM. The Museum opens to the public.